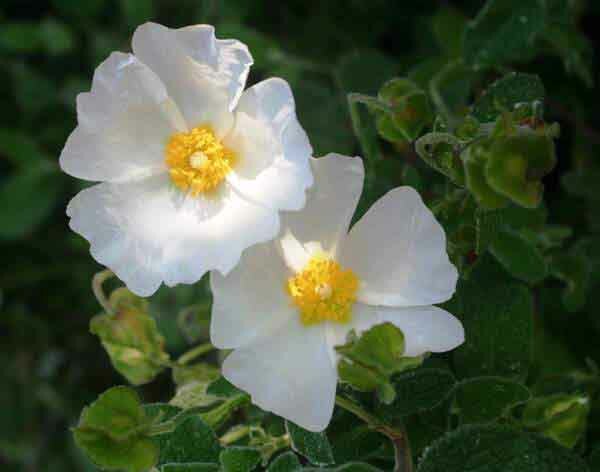 This is a gorgeous wildflower, and in our opinion the most beautiful of the Cistus species that can be seen in the Mediterranean region. Sage-leaved Cistus, a member of the Rockrose family, is one of the commonest of several types of Cistus that occur in the Mediterranean Region. The beautiful white flowers can occur singly or in groups of up to four. Unlike other Cistus flowers the petals are relatively un-crumpled in appearance. 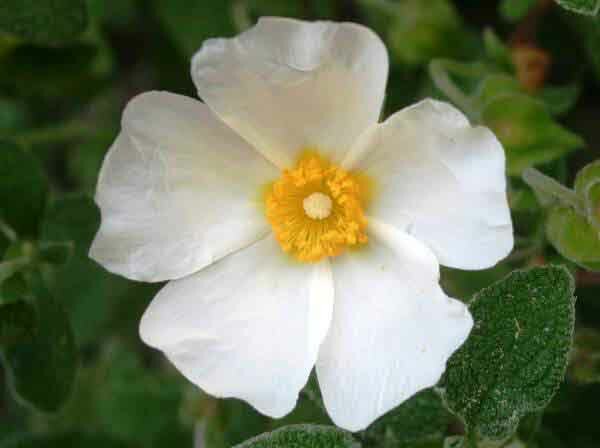 Cistus salviifolius is native to Mediterranean countries including Portugal, Spain, southern France and Italy. Its range extends southwards to parts of North Africa and eastwards into parts of Asia. This shrub often forms vast colonies and favours dry, rocky places in the maquis and barrocal. The specific epithet salviifolius (often mis-spelt as salvifolius) means 'with sage leaves' - a reference that the leaves are very similar in appearance to thos of the herb known as sage. 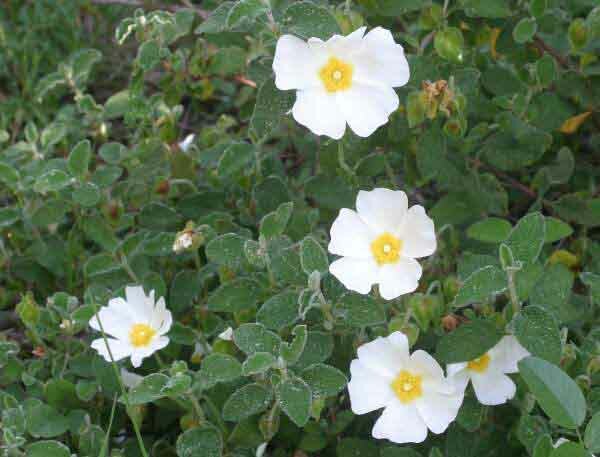 Along with other Cistus shrubs, Sage-leaved Cistus is parasitised by a strange-looking plant called Cytinus hypocistis,which appears from mid April until June growing on the roots of the bushes. The specimens shown here were photographed during May in the Algarve, southern Portugal, where this plant flowers from March through until the end of June.